Ted Cruz: CIA spying on Congress fits the pattern of Obama's abuses of power. 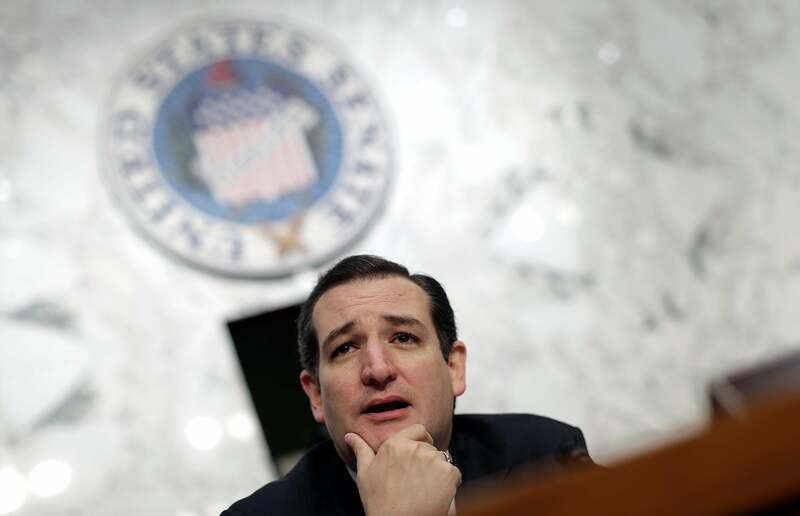 Alleged CIA spying on Congress reminds Ted Cruz of the State of the Union address. Dianne Feinstein’s claim that the CIA spied on Intelligence Committee computers, made in a careful but impassioned 40-minute floor speech, has rattled the city around her. The responses to leak and spying stories since 2010 have been iterative—the WikiLeaks revelations produced no legislation, while the Snowen revelations have started a churn of bills but no sure vote-winner. Feinstein’s story has changed the discussion. Well, it hasn’t changed everything. Talking to reporters after Senate lunches, Texas Sen. Ted Cruz folded the Feinstein allegation into a narrative of Obama administration abuses and Democratic acquiescence. Cruz went on to pine for “the lions of the Senate, the Robert Byrds, the Ted Kennedys,” and ask why so few Democrats criticized their administration. But not far away, Oregon Sen. Ron Wyden was reading carefully from yellow note cards, on which he was starting to write a full statement about the Feinstein accusations. Wyden’s often in this position—he can only reveal so much of what he knows without blasting out classified information. All he could say, really, was that he’d tried to get the CIA on the record about this before.